I found this story deeply moving. 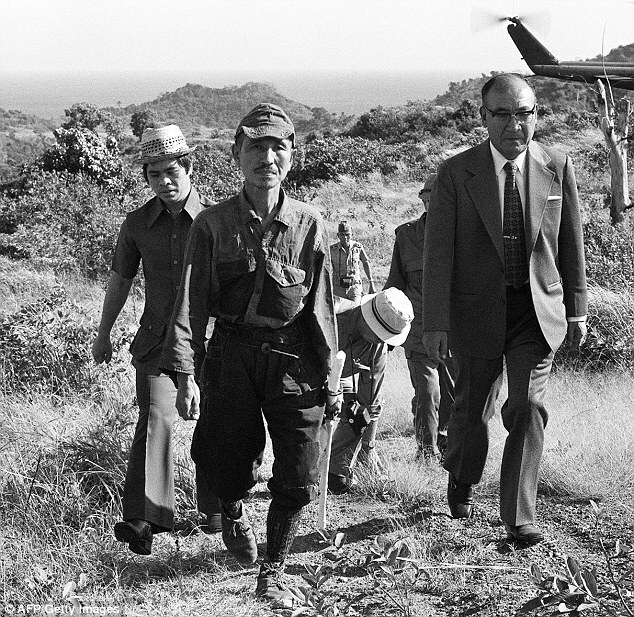 Hiroo Onoda was the last Japanese imperial soldier to emerge from hiding. He finally surrendered in 1974 on Lubang island in the Philippines. Onoda’s imperial army uniform, cap and sword were still in good condition. Two weeks ago, one of the most fascinating story about the war came to an end when a former imperial soldier, Hiroo Onoda died at the age of 91 in Japan. When the war had ended in 1945, and his troops surrendered, Onoda had refused to surrender and hid in the jungles of the Philippines for 30 years. He was accidentally discovered by a traveller, and through conversation, the traveller returned and reported Oneda’s existence to the Japanese army. When approached, Mr Onoda still could not believe, the war was over. Only his own superior and commander from 30 years ago, had to go to the Philippines and convince Mr Onoda – the war was truly over. Onoda struggled to adapt to normal life on his return to Japan and he emigrated to Brazil in 1975 to become a farmer. He finally returned and settled in his homeland in 1984 and opened nature camps for children. He did not consider his 30 years in the jungle to have been a waste of time. Although i remember hearing this story when it first came out, it was interesting to read it again. I always wondered why he would want to stay in the jungle when his countrymen were all going home. I suppose he simply couldn’t accept that the war was over and Japan had not emerged the victors. National honour, most likely. I remember when he was coaxed out of the jungle. My Dad was in the Philippines after WWII – part of the duty was flushing Japanese troops out of the hills who had not gotten the word. Wow! That would have been something. What a way to get caught in a middle of something you had to do. It would have been a scary time too for your dad. Thank you so much for sharing. I really appreciate that. Thank you for sharing. I felt really sad when I read his story. There was some blessing (returned) to the end of his long life, which is a good thing. I am always amazed by the human spirit. Thank you for posting and reminding me of his story.